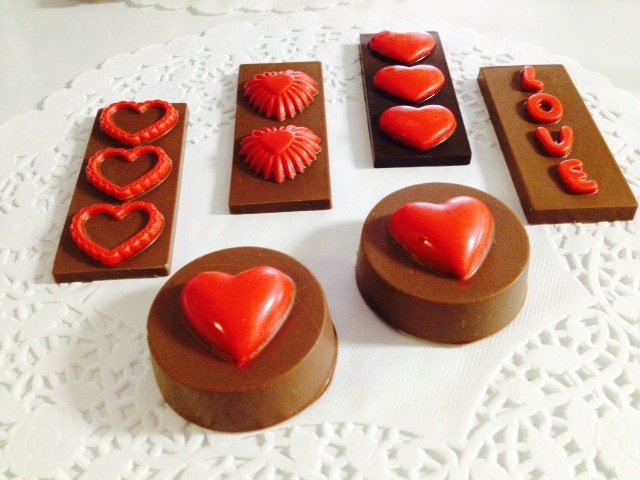 Give the gift of chocolate this Valentine’s Day! Lori’s Candy Station has the perfect gift for your sweetheart – from traditional heart-shaped boxes to unique favors like lollipops and chocolate-covered Oreo cookies. Place your orders today to ensure your Valentine gets exactly what they want this year. 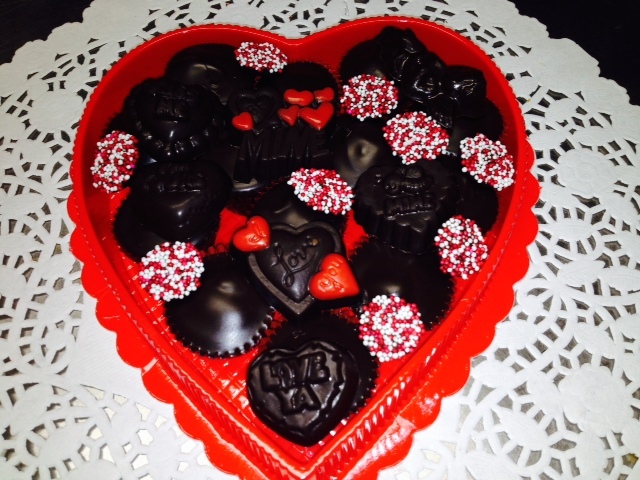 A traditional heart-shaped box of assorted chocolates is the perfect way to make an impression this Valentine’s Day. 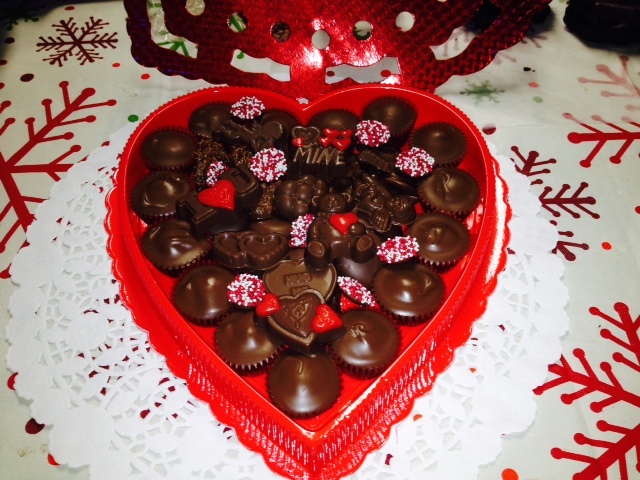 Whether your sweetheart likes milk, dark or white chocolate, Lori’s Candy Station can customize the perfect gift for you. 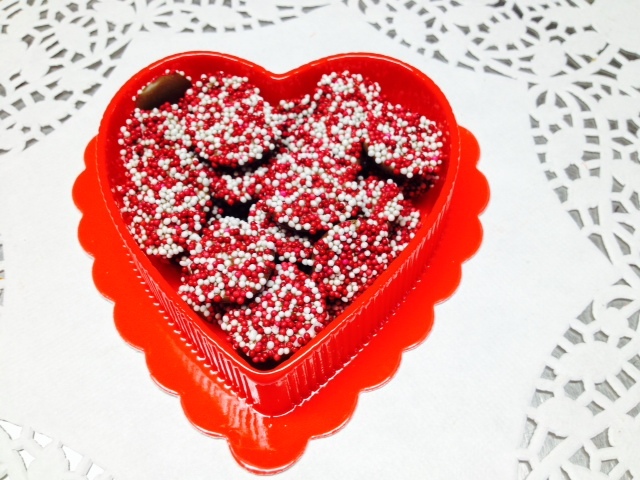 A heart-shaped box of non-pareils is an easy way to show how much you care. 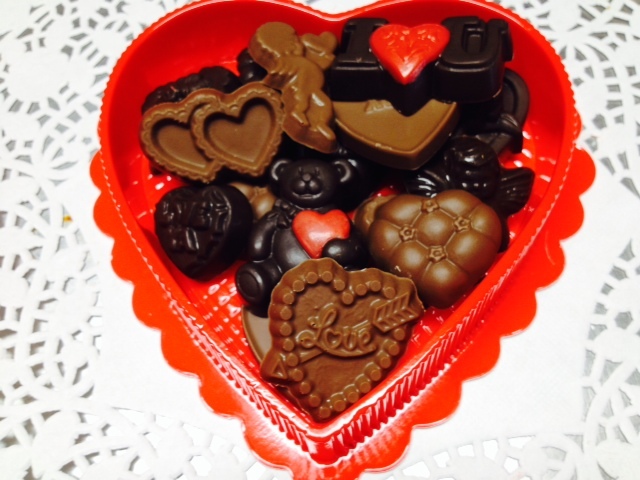 Our Valentine’s Day miniature chocolates are the perfect fit in a beautiful heart-shaped box. Lori’s Candy Station offers unique gifts this Valentine’s Day, including chocolate bars and chocolate-covered Oreo cookies. 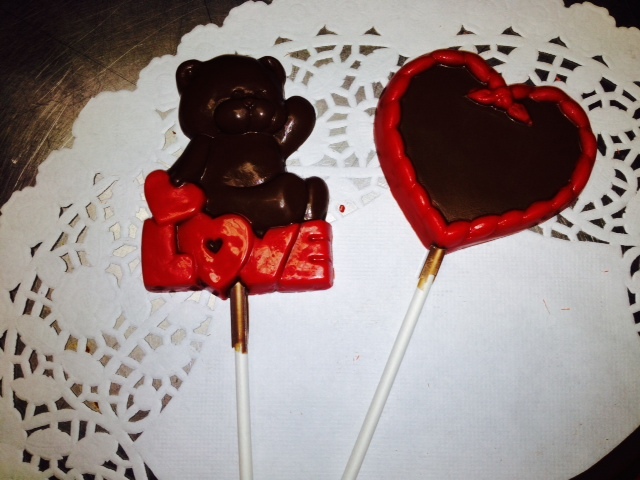 For Valentines both young and old, a delicious chocolate lollipop is a great way to show your love this year. 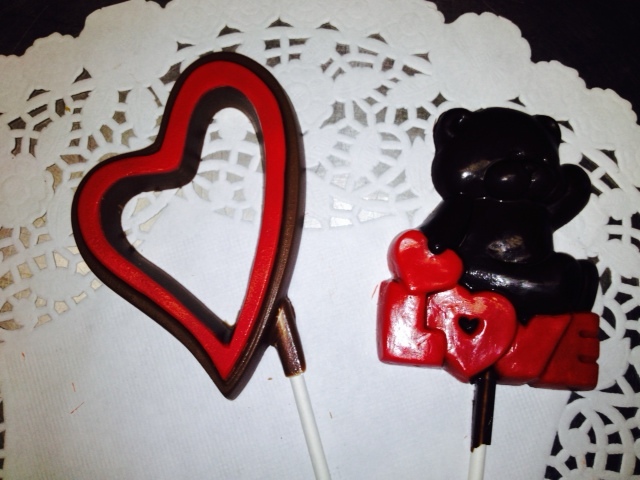 Valentine’s Day lollipops are a fun, delicious way to show your loved one how much you care. 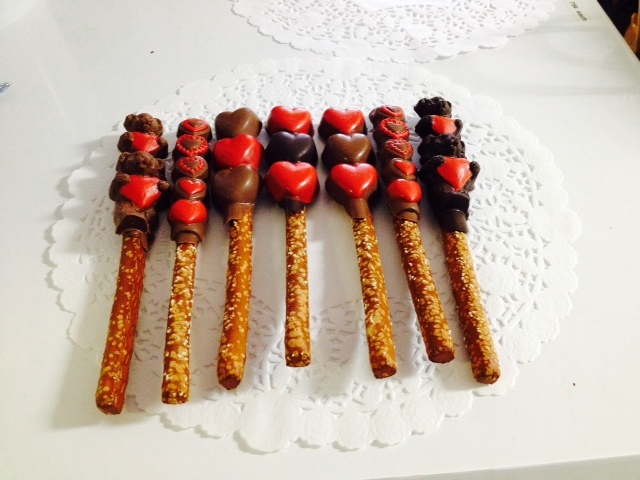 Valentine’s Day pretzel rods are sweet and salty treats that are the perfect gift for the one you love.